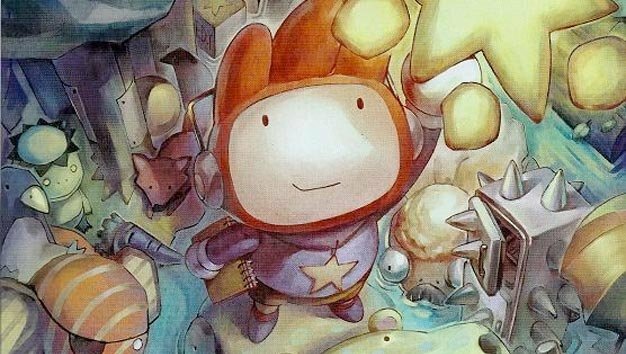 Scribblenauts was a neat DS game to watch. The concept raised eyebrows and got the creative folks all excited. Of course with anything involving letting people come up with things on their own, the limitations get pronounced. Still… that didn’t stop the game from selling well. Thus the developer, 5th Cell, not one to buck trends, has revealed through Nintendo Power magazine the development of a sequel. Not-as-typically, it’s coming good and quick: this fall. While we’re not going to get all the details, we now know a good amount. GoNintendo lists the details as so: 10,000 more words, 120 new and improved levels, adjectives play a big role, improved controls, fleshed out level editor, par system removed, more merits, new hint system. The improved controls will be a welcome relief, the boat load of new levels should be enough to qualify it with the word “sequel,” and it’s like watching a growing toddler to learn that it’s got 10,000 new words and knowledge of adjectives. Not only can one produce a phone booth, but a happy one! How this gets you through a level… we’ll just see this fall.